El Moustaschio! The Moustached Whale. 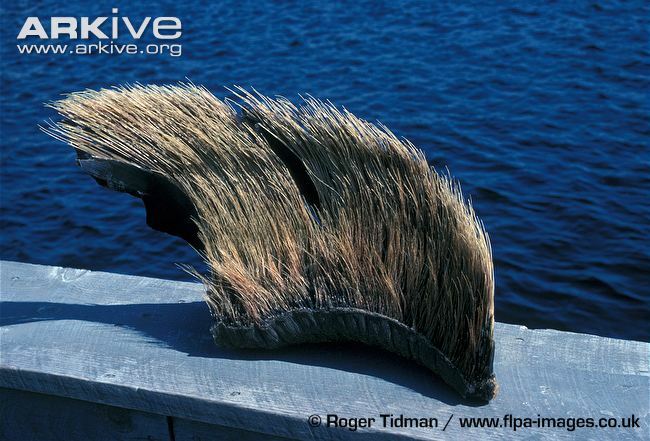 Baleen plate pictured here with baleen bristles attached. Photo credit: Roger Tidman/www.flpa-images.co.uk. Arkive. Is it a brush? Is it a broom? 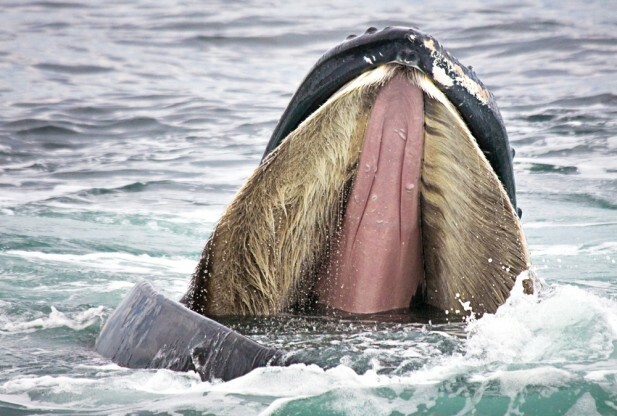 No, it’s baleen! 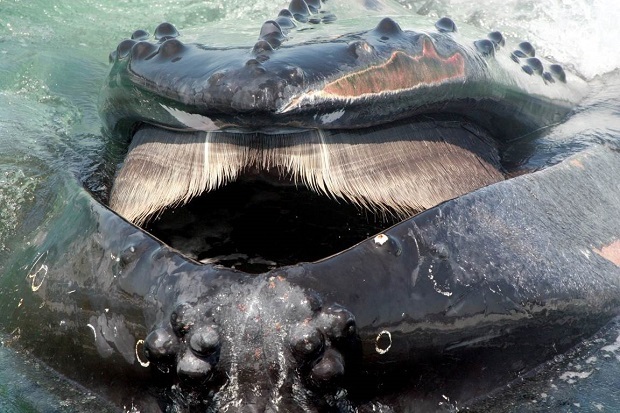 It is found inside the mouths of baleen whales which are known as Mysticetes or the ‘Moustached whales’. This bristly mouthpiece is actually comprised of keratin which also makes our hair and nails. 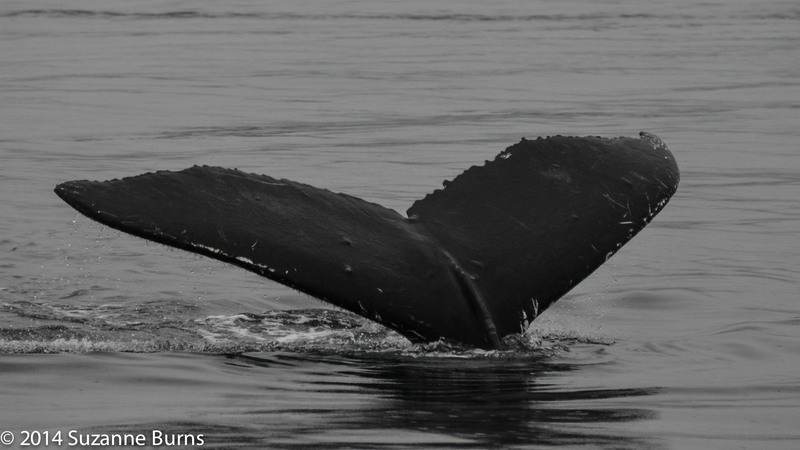 The baleen whales are among some of the largest whales in the world, including the blue whale and the humpback whale among others. 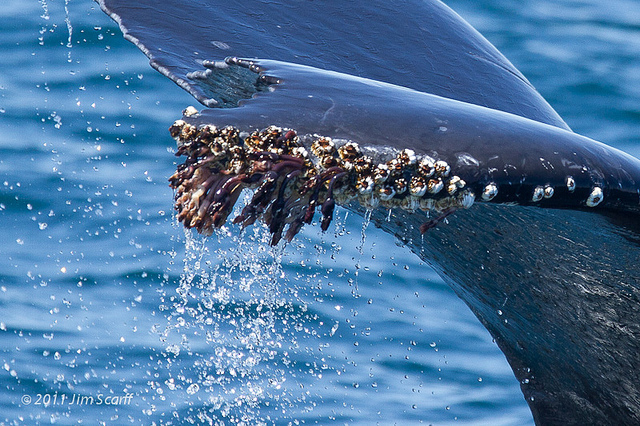 Despite their enormous size, these giants feed on some of the smallest creatures in the ocean, krill and small fish. They swallow vast quantities of water and expel the water through the sieve-like krill plates. 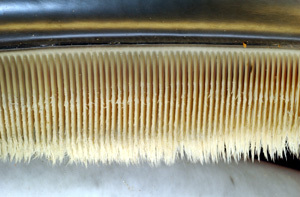 The little creatures get trapped in the baleen and the whale licks along the plates to flush the creatures into its mouth. 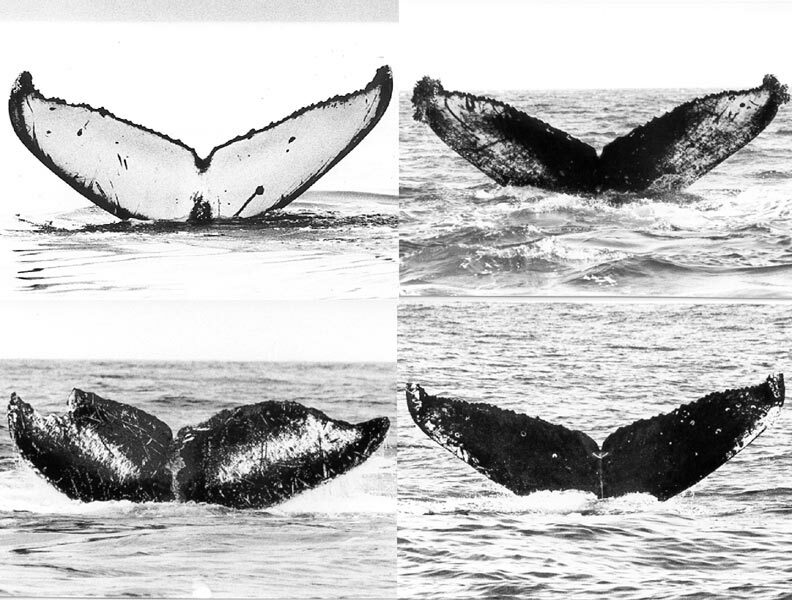 Whales, whales everywhere! This was how you could describe the incredible day we had on the M.V. Lukwa. We sailed down Blackney Pass bursting with anticipation. 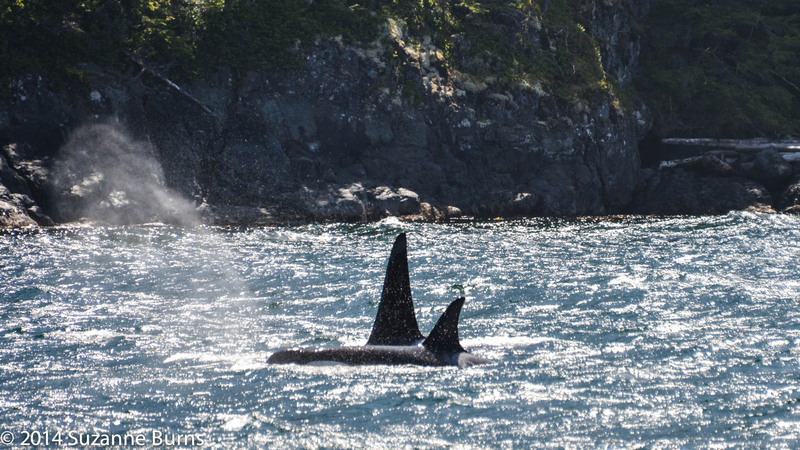 Word was out that the orca were back. We had been patiently waiting for this day and we were delighted when we first caught sight of them this morning. 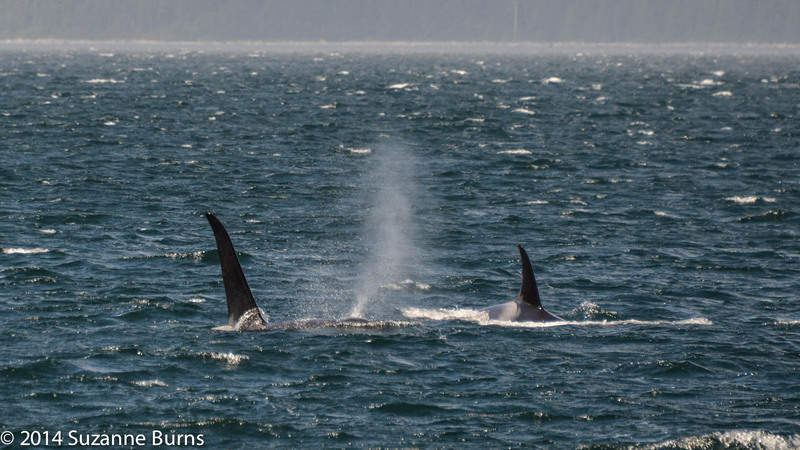 A group of orca called the A42‘s appeared ahead of us to our starboard side! This family are descended from the A5 pod and are made up of five members. The mother is called ‘Sonora’ and she was born in 1980. She has four of her young with her. The oldest, born in 1996 is a male called ‘Surf’. He was joined by his siblings ‘Current’ and ‘Cameleon’ who were born in 2004 and 2008 respectively. The youngest one was born last year and is yet to be named. This family are ‘residents’ or fish eaters only and their fish of choice is chinook salmon. As we were watching transfixed by the sight of these phenomenal pescetarians, humpbacks started to appear to our port side! 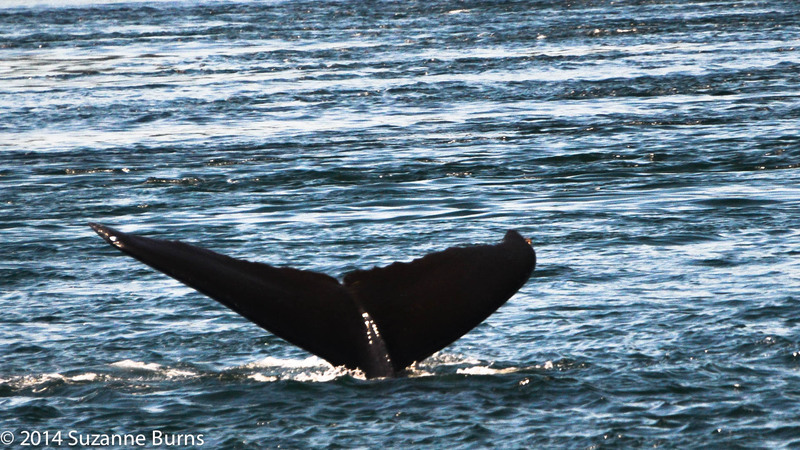 One of the humpbacks which is known as ‘KC’ or Kelp Creature breached while we observed the orca! 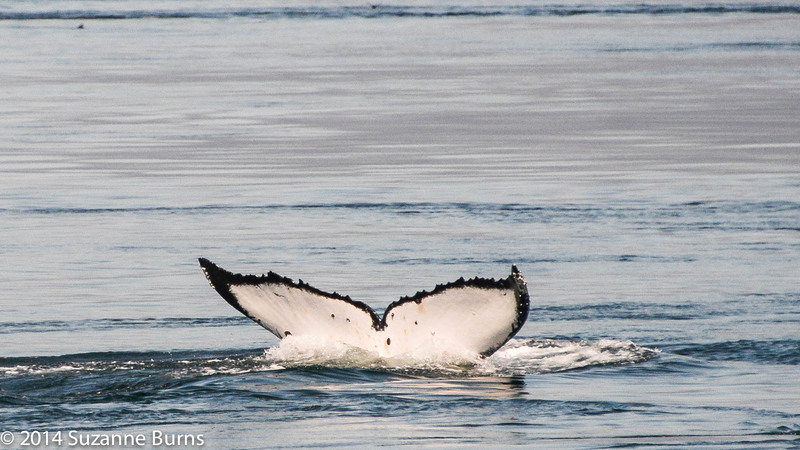 Four humpbacks were seen altogether and another was identified as ‘Guardian’ by Sophia our naturalist on board. Lots of sea birds were seen milling around the whales, attracted by the glut of food in the water. We observed five Steller sea lions in Weynton Pass, right in the kelp bed. Bald eagles swooped over the sea lions in their watery lair. 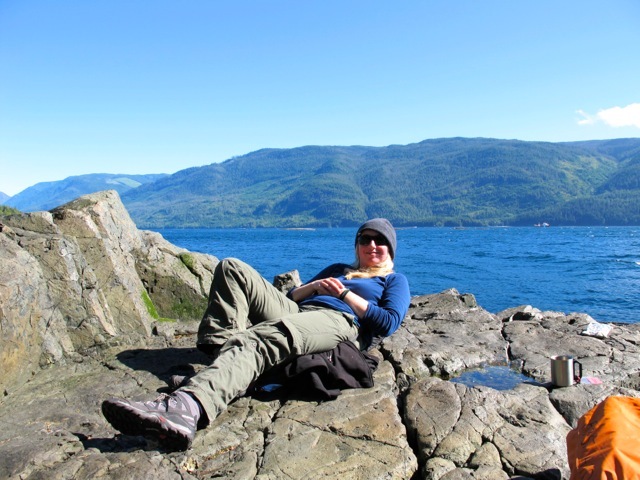 The afternoon trip was all geared up and ready to see some orca. We headed south towards Robson Bight Ecological Reserve. 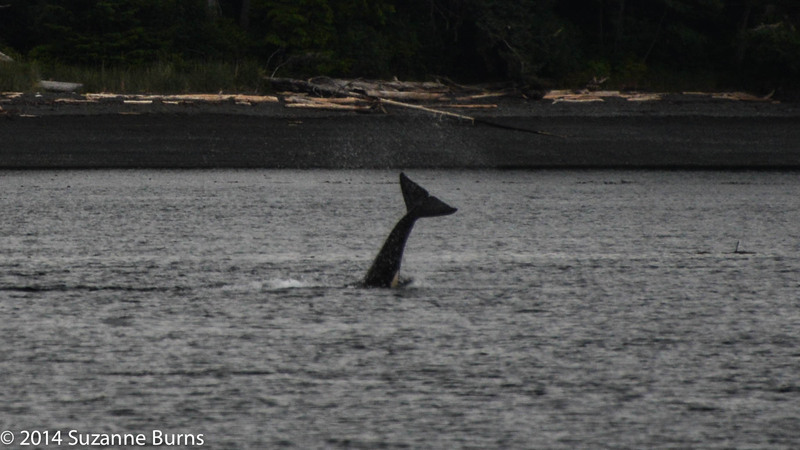 We got word from the reserve warden, Marie that the orca were still in the area, close to the rubbing beaches. Marie works for a voluntary organization called ‘Cetus’ that patrol the reserve and surrounding areas during the summer. 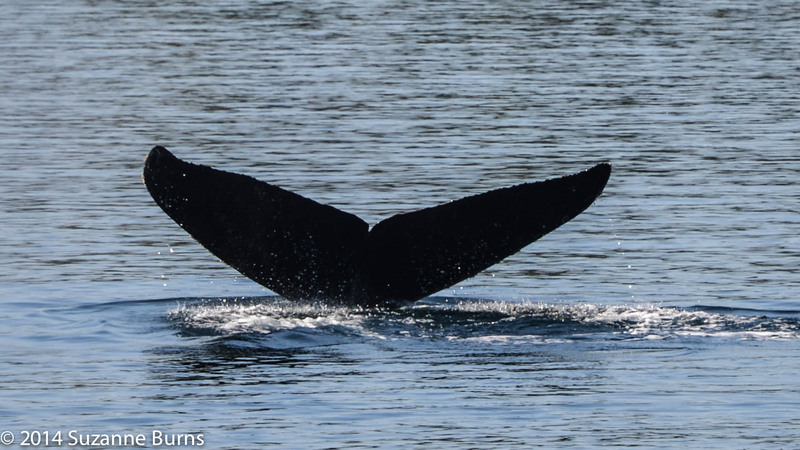 They educate and advise local and incoming boaters and help protect the whales from boat strike and entanglement in props and fishing gear. 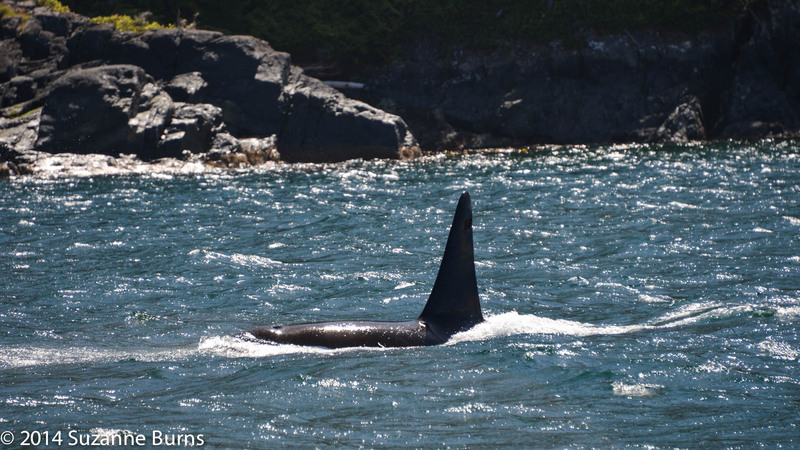 The orca did indeed reappear close to shore, east of the reserve. 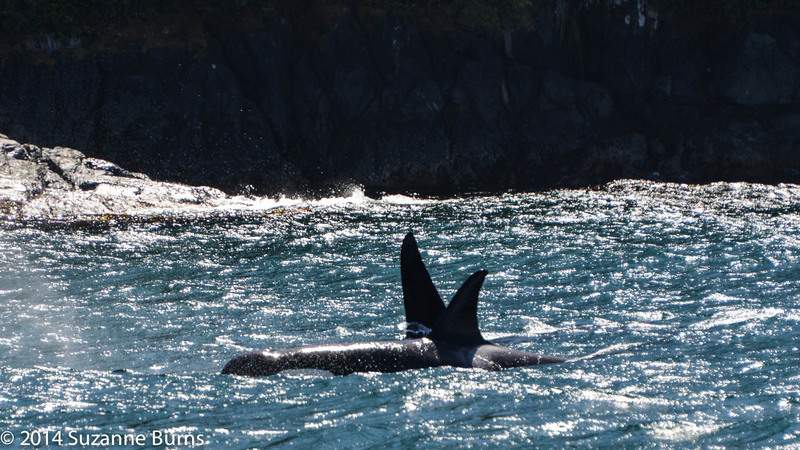 It was confirmed that it was the same orca family we had seen this morning. ‘Surf’ was swimming alone while the rest of his family stuck close together. They began to disperse after a while and we watched awestruck as they dipped and weaved around us. Cruising past Cracroft Point, Blackney Pass we saw a humpback. It was suspended in the swirling water and rose and sank with grace and ease. For such an enormous creature, it could slink from view effortlessly. 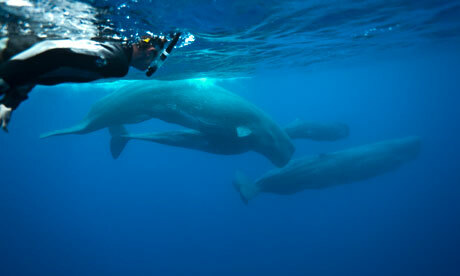 Alison, our naturalist identified the wily whale as ‘Argonaut’. 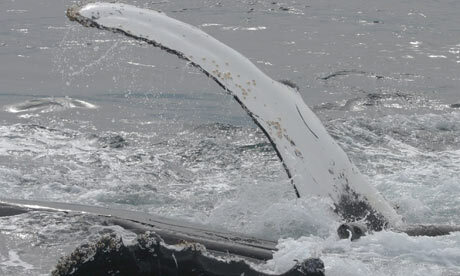 This whale is so called as it has what looks like to be an ‘A’ notched into it’s fluke. Some speedy Dall’s porpoises appeared momentarily after Argonaut disappeared. They looked so tiny after seeing such a huge whale. 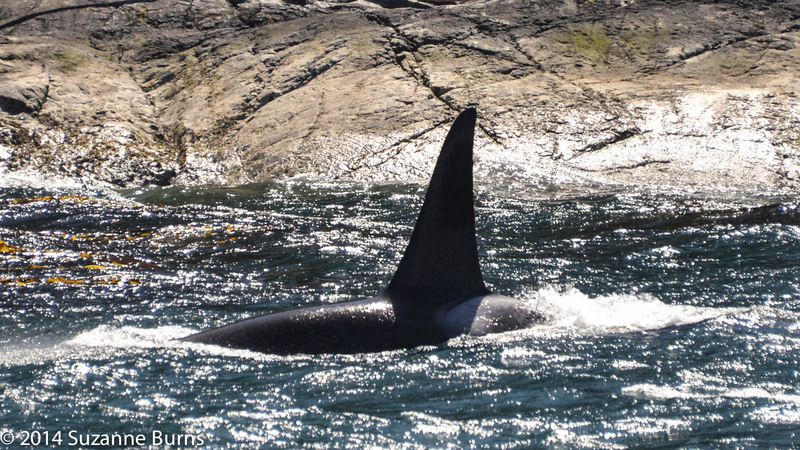 So it’s a very warm welcome back for our resident orcas. 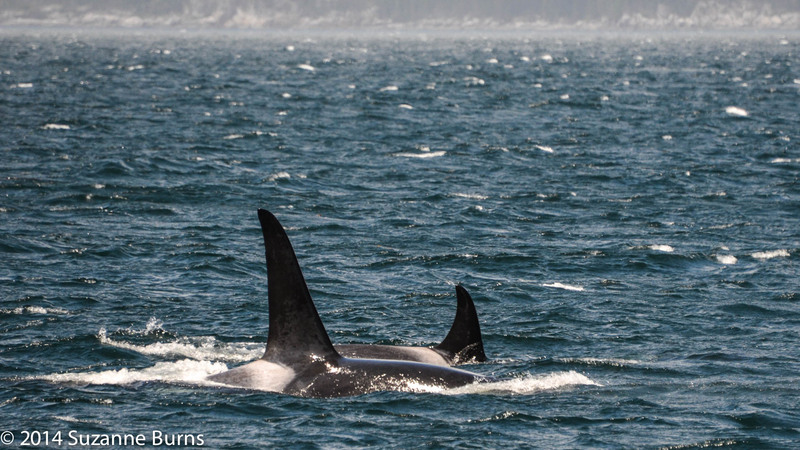 An incredible opportunity to see an orca family thriving in the wild and spending summer in our waters.